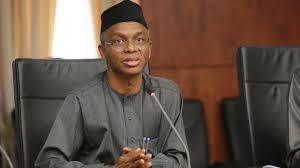 Kaduna State Governor, Nasir El-Rufai, has boasted that President Muhammadu Buhari will still win next year’s election even if members of the new Peoples Democratic Party (nPDP) quit the ruling All Progressives Congress (APC). El-Rufai stated this in an interview with State House correspondents on Tueday. The Governor noted that Buhari has been winning elections in Kwara, Adamawa, Kano and Sokoto where most of the nPDP members come from since 2003. The nPDP member recently petitioned the national chairman of the APC, John Odigie-Oyegun and copied President Buhari among other party big shots. The petition, dated April 27, was signed by the chairman of the nPDP, Abubakar Kawu Baraje and Secretary, Olagunsoye Oyipetition. Baraje had last Wednesday led other members of the group to the national secretariat of the APC where they gave a seven-day ultimatum to meet President Buhari.